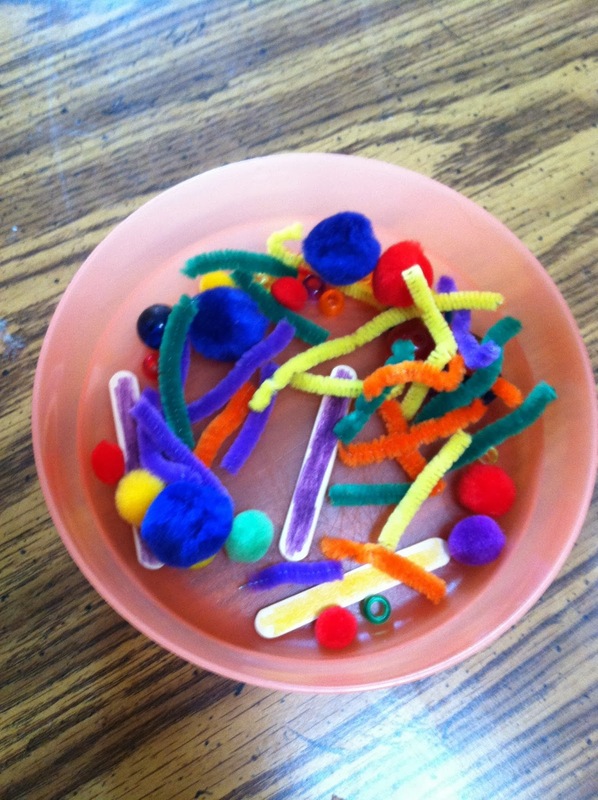 We’ve been working on using glue in our crafts, which is definitely a skill that takes time and practice for toddlers. I saw a photo on Pinterest of a “rainbow color match game,” and decided to recreate our own. 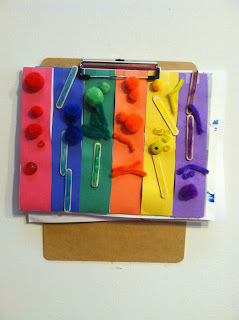 I cut out strips of different colored construction paper and stuck them to a piece of cardboard using a glue stick. Then I collected various beads, pom-poms, pieces of pipe cleaners, and some mini-popsicle sticks I colored with markers. I gave CeCe a small bowl of glue and let her work out matching the colors and choosing where she wanted to place each item on the paper. She enjoyed herself, although her fingers did get pretty sticky. The end result was what CeCe called “a beautiful rainbow,” and I have to agree. This craft gets an A+ in our book. It is inexpensive, not terribly messy, and lets CeCe practice multiple skills while creating something she can hang on the wall with pride.